With the sad news emerging that Wardour News is to close, it appears that longstanding predications of the collapse of print, is nearing a peak. The Soho establishment serviced London’s fashion minded, in search of niche independent publications, for almost 34 years. The array of art, design and fashion magazines on offer, paved the way of discovery for many; and gave smaller magazines a platform for promotion. Raj Patel, co-founder of Wardour News stated rising rents are the main culprit for the closure. “We are closing because of rent going up, and the time is coming for me to have a break," he stated in Vogue. The demise of the store is the latest, in a longline of Soho establishments to succumb to the gentrification of Soho, through rent rises. 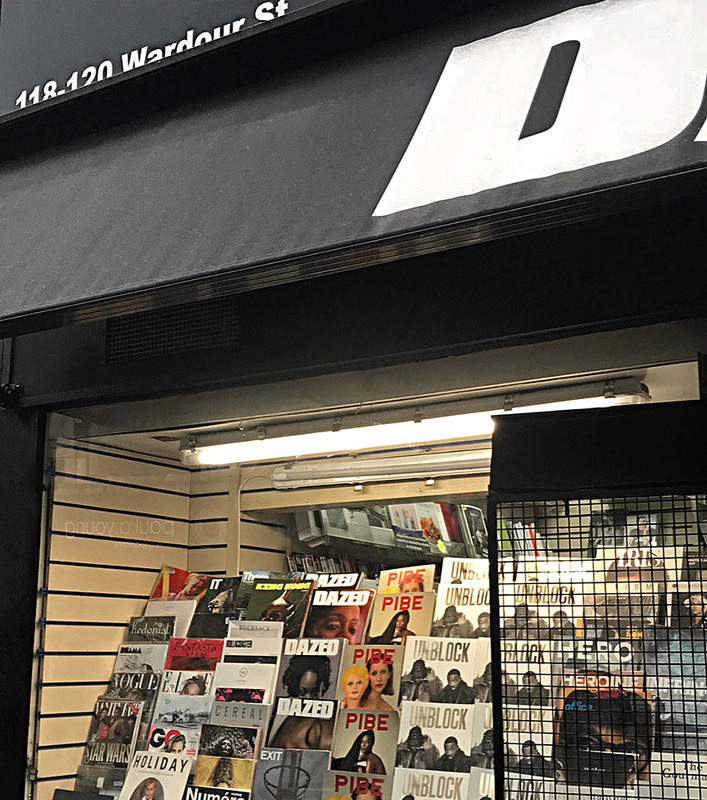 In part true, Soho has seen a number of establishments recently become under threat of closure due to the increased rent; however, one has to wonder if the relevance of print magazines is partially to blame. Recent figures from ABC (the company responsible for providing an audit of magazine sales) found that print publications lost on average 5.9 per cent sales, year on year, on the second half of 2016. Meanwhile, online content grew exponentially with a surge of new online publications to rival the longstanding titles. The fundamental shift in demand of print to online, has seen a number of print powerhouse cease to survive on the shelves; Teen Vogue, Nylon and Glamour magazine recently opted into online publishing only, due to dwindling sales and increased production costs. Advertisers often provided the main source of revenue for print, allowing an expanding blurred line between content and advertising to develop. With publications now relying heavily on an ever-growing online presence to remain afloat, it may be no surprise to see the death of more print magazines in favour of digital counterparts. May 25th will see Wardour News close its doors for the last time, leaving a gaping hole, which for the foreseeable future, does not need filling.